We aim to keep your bill easy to read and understand. We've clearly highlighted the most important part, which is what you owe and when. We hope it's easy to find the information you need and a payment option which best suits the way you do business. 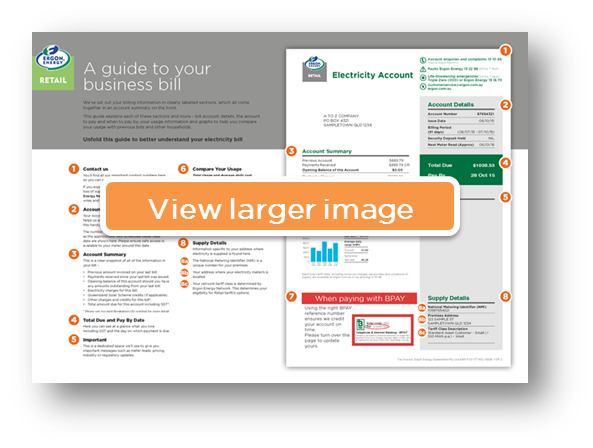 For an explanation of all the sections on your bill, refer to our guide to your business bill (PDF 319.1 kb) (click to enlarge).